In two unrelated cases, the United Kingdom denied asylum to persecuted Christians by bizarrely citing the Bible and Jesus. Both Christians, a man and a woman, are former Muslims who were separately seeking asylum from the Islamic Republic of Iran, the ninth worst persecutor of Christians, particularly those who were formerly Muslims, as in these two cases. UK asylum worker Nathan Stevens recently shared their stories. I’ve seen a lot over the years, but even I was genuinely shocked to read this unbelievably offensive diatribe being used to justify a refusal of asylum. Whatever your views on faith, how can a government official arbitrarily pick bits out of a holy book and then use them to trash someone’s heartfelt reason for coming to a personal decision to follow another faith? These two recently exposed cases appear to be symptomatic of a venomous Home Office’s bias against Christians. For example, when Sister Ban Madleen, a Christian nun who was chased out of Iraq by the Islamic State, wanted to visit her sick sister in the UK, she was denied a visa—twice. A number of other Christian orderlies were also denied visas, including another nun with a PhD in Biblical Theology from Oxford; another nun denied for not having a personal bank account; and a Catholic priest denied for not being married. Statistics from earlier years showed the same disparity. Although Christians accounted for approximately 10 percent of Syria’s prewar population, the overwhelming majority of Syrians granted asylum by the Home Office were Sunni Muslims. Such an imbalance appears even stranger when one realizes that the Islamic State is itself a Sunni organization that only targets non-Sunnis, primarily Yazidis, Christians and Shiite Muslims, all minority groups the U.S. government acknowledges have experienced genocide. It is widely accepted that Christians, who constituted around 10 per cent of Syria’s pre-war population, were specifically targeted by jihadi rebels and continue to be at risk…. As last year’s statistics more than amply demonstrate, this [ratio imbalance between Muslim and Christian refugees taken in] is not a statistical blip. It shows a pattern of discrimination that the Government has a legal duty to take concrete steps to address. Considering that persecuted Christian minorities—including priests and nuns—are denied visas, one may conclude that the Home Office is extremely stringent concerning its asylum requirements. However, this notion is quickly dispelled on the realization that the Home Office regularly grants extremist Muslims visas and refugee status (not to mention one has yet to hear about Muslim asylum seekers being denied because the Koran is too violent, or because they do not have enough faith in Muhammad). The case of Asia Bibi—a Christian wife and mother of five who spent the last decade of her life on death row in Pakistan for challenging the authority of Muhammad—is perhaps emblematic of the immigration situation in the UK. After she was finally acquitted last November, Muslims rioted throughout Pakistan; in one march, more than 11,000 Muslims demanded her instant and public hanging. On the other hand, the Home Office allowed a Pakistani cleric who celebrated the slaughter of a politician because he had defended Asia Bibi—a cleric deemed so extreme as to be banned from his native Pakistan—to enter and lecture in UK mosques. In short, local Muslim opinion apparently plays a major role in the UK’s immigration policy: Christian “infidels” need not apply, whereas radical Muslims are welcomed with open arms. 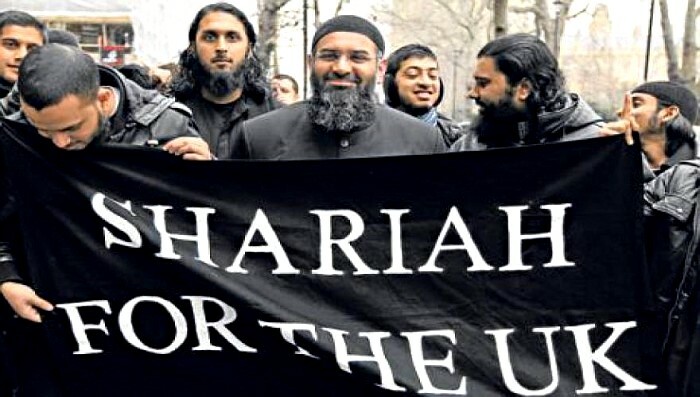 It’s unbelievable that these persecuted Christians who come from the cradle of Christianity are being told there is no room at the inn, when the UK is offering a welcome to Islamists who persecute Christians…. There is a serious systemic problem when Islamist leaders who advocate persecution of Christians are given the green light telling them that their applications for UK visas will be looked on favourably, while visas for short pastoral visits to the UK are denied to Christian leaders whose churches are facing genocide. That is an urgent issue that Home Office ministers need to grasp and correct.